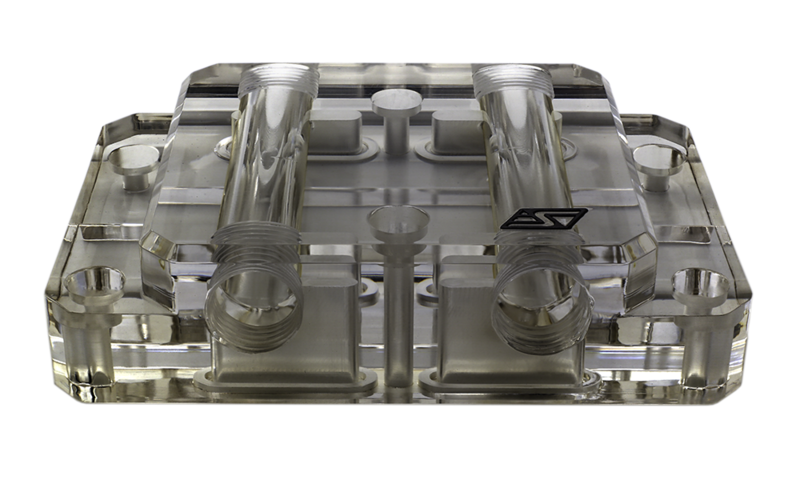 The Universal SLI & Crossfire VGA bridges provide a solid mechanical connection between two Komodo VGA water-blocks (1). 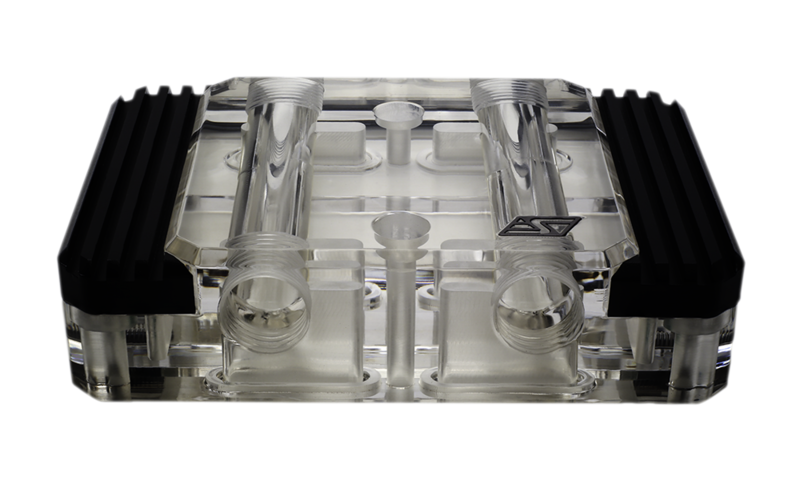 This solution reduces the number of fittings necessary to hydraulically connect two block for an SLI or Crossfire setup, and provides an additional layer of safety by reducing the number of joints, as well as elegance to the liquid cooling system. The “Universal” denomination indicates that these products are compatible with all Komodo models for GeForce™ & Radeon™ series designed by Swiftech effective in 2016 (see related products below) and going forward. Following the Komodo product lines model, these bridges are available in two series: Luxury Edition (LE) and ECO edition. The LE edition distinguishes itself from the ECO version by an integrated RGB ALED lighting system compatible with the Swiftech Iris-Eco light controller.